James Trim is truly a lover of Mother Nature. 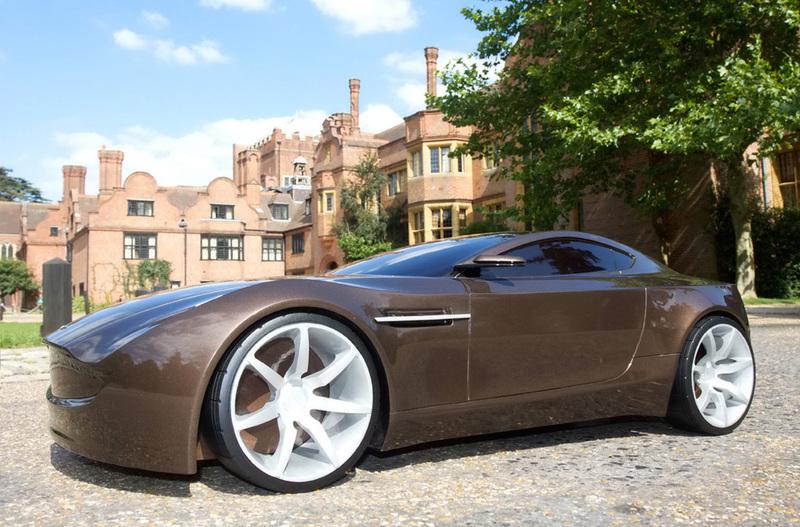 His design of his car, the Aston Martin Volare simply proves this. Aston Martin Volare is anchored to the principle that automakers must see to it that their vehicles are environment friendly if not totally harmful free. Aston Martin Volare is a design that provides a guilt-free driving for the passengers while not sacrificing the incredible sound and excellent performance of the car. Jamesâ€™ design is a two-seater car that has a high-power fuel cell stack that is flanked by the front seats. A backend mounted battery pack and a co-axial electric motor is also embedded at the front. Two hydrogen storage tanks are placed overhead the cars axle for an equal distribution of the cars weight. The Aston Martin Volare proportion is visually sharpened by the use of a harder shoulders and a visible floating rear deck. The front frame, which is solid, is inspired by the older V8 vantage. The Volareâ€™s flexible frontage fenders are able to change its shape to expose daytime running lights or full headlamps. A car is immediately identifiable as a masterpiece of Aston Martin if its design is a combination of the todayâ€™s technology and designed as a harmful free to the environment vehicle.